ZIMBABWE – Zimbabwe is among 14 countries that last week voted against the passing of United Nations General Assembly resolution recognising human rights defenders. Other countries that tried to block the passing of the resolution, according to an organisation known as Frontline Defenders, were China, Russia, Syria, Burundi, Kenya, Myanmar, Nigeria, Saudi Arabia, North Korea, South Africa, Iran, Pakistan and Sudan. At least 40 other countries abstained from the vote. Norway led a cast of 117 progressive countries that valiantly fought to pass the resolution, including fighting of a campaign by a group of 39 African countries that wanted to sneak in “39 hostile amendments that would have severely weakened the position rights defenders”. Zimbabwe Human Rights Commission chairperson, Elasto Mugwadi said he would need to find out what really happened. “I am not aware of the position taken and would need to meet with (Justice ministry permanent secretary Virginia) Mabhiza,” he said. “We would also want to sit as a commission to evaluate that and come up with a proper position if indeed government voted against the resolution because our duty if to advise the State to ratify rights treaties,” Mugwadi said. Renowned human rights defender and lawyer, Alec Muchadehama said the State and all its machinery continued to be at the forefront of violating human rights and human rights defenders when in fact it was duty-bound to protect them. “We are not surprised. It is just a confirmation of what we know and have always said. Zimbabwe is a country that can easily descend into pariah status,” he said. MDC-T spokesperson Obert Gutu condemned the move, citing activist, Itai Dzamara, who was abducted by suspected State security agents almost nine months ago and accused the Zanu PF government of not “batting an eyelid”. “As the watershed 2018 elections draw closer, the security situation in Zimbabwe will deteriorate and more and more human rights activists will just disappear. This regime will do whatever it takes to ensure they remain in power. This might sound alarmist, but then that’s the cold, hard truth,” he said. People’s Democratic Party spokesperson Jacob Mafume said “old habits die hard”. “Zimbabwe has been known to target human rights defenders for fun and sport. This is a murderous regime that would want to live up to its billing. 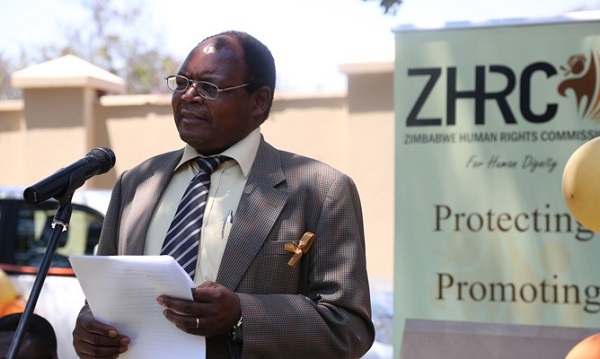 It is sad that at a time we have a new Constitution and a full human rights commission, we have the temerity to then turn around and vote against progressive resolutions in support of rights defenders,” he said. Dewa Mavhinga, a senior researcher at Human Rights Watch, said it was extremely disappointing, but not surprising, “that Zimbabwe joined a cabal of rogue nations”. “The government of Zimbabwe is a major culprit in violating the rights of human rights defenders, hence, its backward stance to reject their protection at UN level. Human rights defenders like Dzamara remain missing and outside the protection of the law with the government doing next to nothing to ensure his safe return,” he said.